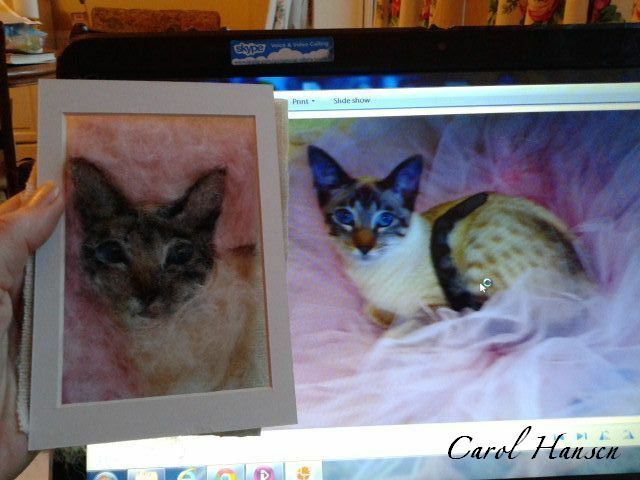 Brinde commissioned me to create a hand-felt art form of her cat Ulu. The result is shown below (including close ups). Brinde has seen it, and describes it as “unbelievably beautiful”.